Western Ukraine’s air gateway Lviv International Airport continued to set the pace in 2018 among the country’s regional airports, posting a 48% year-on-year increase in passenger numbers. Traffic peaked in December 2018, with a monthly increase of 58% compared the previous year to reach 129,000 passengers. The number of airlines flying from Lviv also continued to expand, with 34% more flights in the last month of 2018 than at the end of 2017. Notably, over 1,000 of the airport’s 1,282 flights during December 2018 were to international destinations, mostly within the EU. These figures place Lviv International Airport firmly at the forefront of an aviation industry boom that reflects Ukraine’s post-2014 economic recovery as well as the city’s growing international appeal as a tourism and investment destination. 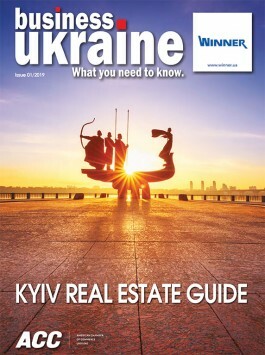 Lviv’s proximity to the EU and distance from the conflict zone in eastern Ukraine (the city is considerably closer to Berlin, Prague and Vienna than it is to the frontlines in Donetsk and Luhansk regions) have helped make it a relatively attractive option for international investors. Today’s Lviv boasts a growing manufacturing sector and a thriving IT industry that benefits from the human capital of the city’s large student population. It is also enjoying increasing recognition as an international tourist destination, attracting more than two million visitors in 2018 thanks to a dynamic tourism industry centered on the cozy environs and renaissance splendor of Lviv’s historic city center. While Lviv International Airport’s recent experience reflects the progress made by the city since 2014, the opposite is true of Donetsk. 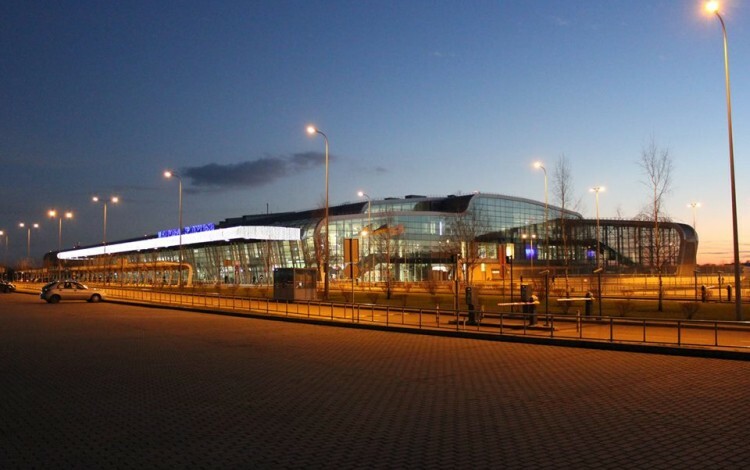 As the unofficial capitals of western and eastern Ukraine, Lviv and Donetsk both saw comprehensive airport overhauls as part of Ukraine’s preparations to co-host the UEFA Euro 2012 football championships. These upgrades transformed Soviet-era airport infrastructure into modern facilities designed to serve as international gateways to the new Ukraine. However, while Lviv airport has become one of the brighter aspects of Ukraine’s European integration efforts, Donetsk International Airport lies in ruins and has become a symbol of the undeclared war between Russia and Ukraine. Russian hybrid forces seized Donetsk International Airport in late spring 2014 as part of the Kremlin-led takeover of the Donbas region that followed Moscow’s annexation of Crimea. Ukrainian troops were initially able to regain control of the airport, but it soon became a battleground. No commercial flights have landed in Donetsk since 26 May 2014 when large-scale military hostilities first erupted. Instead, Donetsk International Airport emerged as one of the key objectives of the fighting, with the increasingly outgunned and outnumbered Ukrainian forces remaining in possession of the airport until late January 2015. During months of intense daily clashes, the dogged Ukrainian defenders earned the nickname “cyborgs” from their exasperated adversaries. By the time this epic defense ended, the entire airport complex lay in complete ruins. It remains a wasteland today, stranded on the frontlines of a simmering conflict with no end in sight. The grim fate of Donetsk International Airport mirrors the tragedy of the wider Donbas region. Meanwhile, booming Lviv airport offers a hint of the benefits Donetsk might also have enjoyed if the city had been able to embrace Ukraine’s European choice in 2014 rather than becoming a focal point of Russian aggression.